Tax season isn't so scary with TaxSlayer by your side. 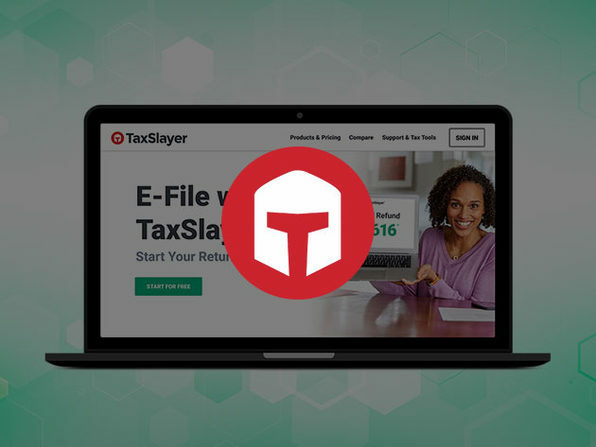 Intuitive, accurate, and committed to getting you your maximum refund, TaxSlayer gives you everything you need to e-file an individual federal tax return. Highest rated for speed of filing, TaxSlayer Premium empowers you to file for all tax situations and with no form restrictions. You can save time and autofill your income, wages, and more just by uploading your W-2; and TaxSlayer guarantees 100% accurate calculations and a maximum refund. Plus, with TaxSlayer Premium, you'll get your toughest tax questions answered with personal, unlimited guidance from a tax professional, as well as IRS audit assistance and priority support.